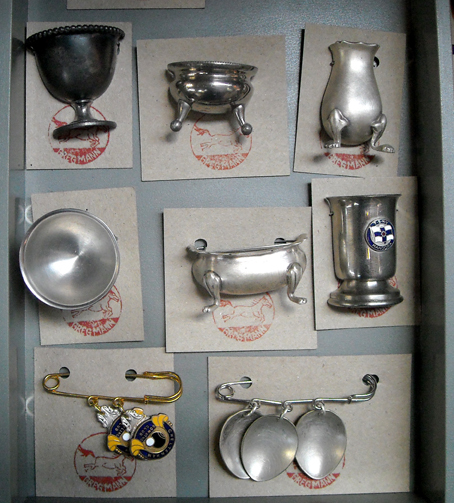 Greg Mann makes these lovely pieces from recycled culinary items. He also does custom work so if you are interested drop him a line. 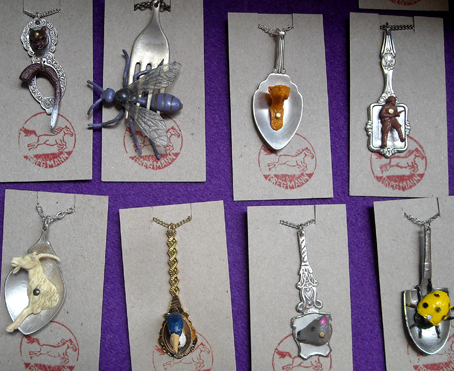 I do love the bottom right hand pin brooch with tiny spooning spoons.